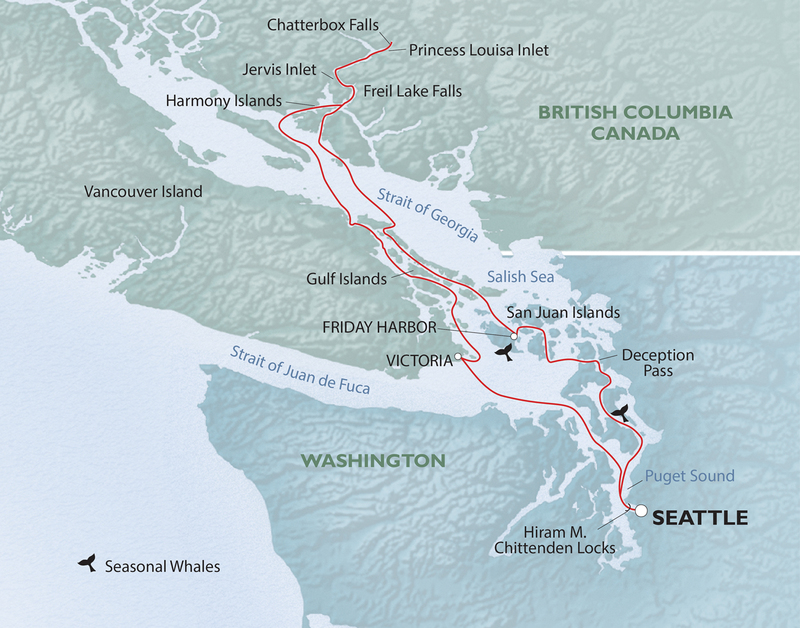 Enjoy an inclusive boutique exploration and sail into a yachters’ paradise on both sides of the border—take in nature’s wonders by kayak, skiff, or on foot, witness British Columbia’s stunning Princess Louisa Inlet, British-influenced Victoria, enjoy High Tea in a garden, and discover the San Juan Islands and a charming seaside town. You’ll experience first-hand Mother Nature’s role in creating some of the most dramatic scenery along British Columbia. King, queen or twin beds, elevated port lights (not suitable for viewing), private bath with shower. Twin bed, view window, private bath with shower (Pullman berth available). 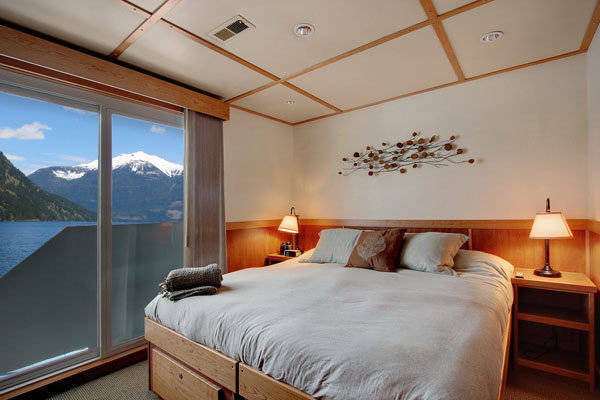 Queen bed, view window, private bath shower. King, queen or twin beds. Sliding glass door opening to a small balcony, private bath with shower. After clearing customs, it’s all ashore for free time in downtown Victoria. Take in a visit to the elegant Empress Hotel; Royal British Columbia Museum; or browse the quaint shops nuzzled about this garden city. Later, travel by coach to Butchart Gardens for High Tea and to leisurely enjoy the garden’s 52-acres of botanical wonder. 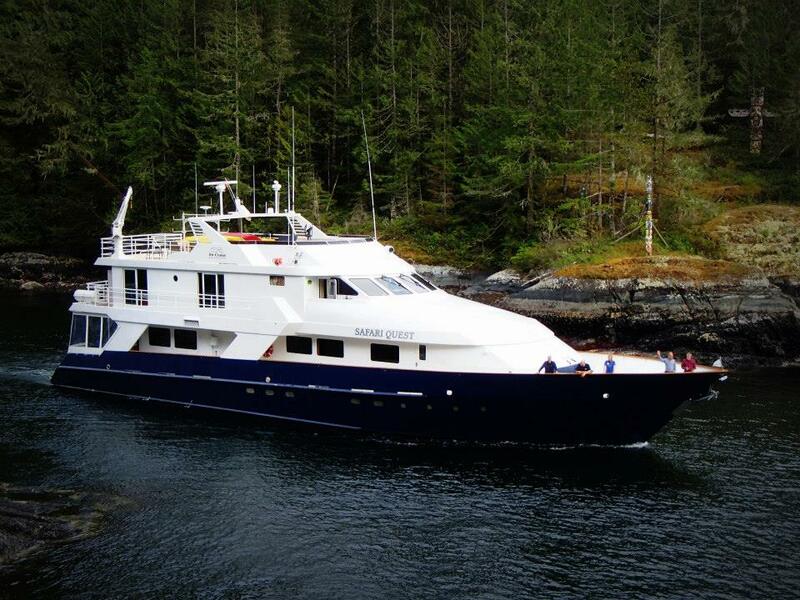 Back on board the yacht, set sail through the Gulf Islands and settle into the rhythm of the Salish Sea. 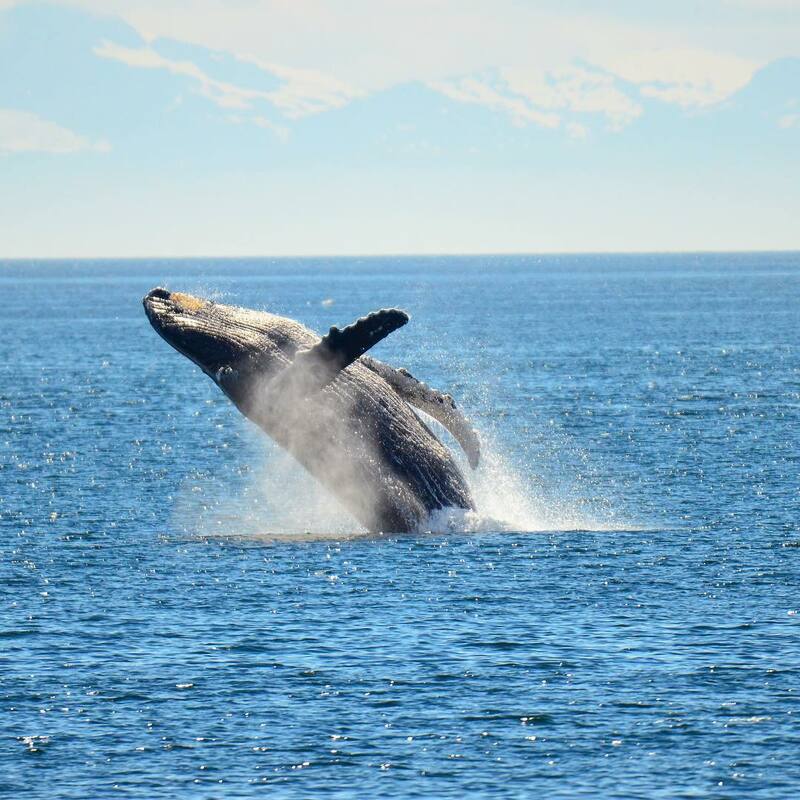 Discover nature’s wonders today off the Sunshine Coast of British Columbia. Small group skiff rides keep you busy in a sheltered bay or along rugged shoreline, where sea lions, tide pools, driftwood, and superb birding are common sights. Pass through the Malibu Rapids into the calm waters of Princess Louisa Inlet, one of the most beautiful locations on earth. Only half a mile wide and walled in by 5,000-foot, near-vertical mountains, The Princess culminates at the tremendous Chatterbox Falls. Anchor in the inlet for exploration on foot and by kayak. The evening offers up relaxation in the upper deck hot tub or, when conditions are right, campfire camaraderie with your yachtmates. A passport is required on this cruise. Due to the nature of our explorations, itineraries are guidelines and will change in order to maximize wildlife and natural encounters. Variations in itinerary and the order of days may occur. Vessel Type: Expedition Length: 36 m Passenger Capacity: 22 Built / refurbished: 1992 / 2006 Unwind into adventure aboard our 22-guest boutique yacht. Four decks offer invigorating spaces to get away from it all and take in up-close views of surrounding wilderness. Recap the day's activities, relax, or watch a movie on the wide screen TV in the comfortable and sophisticated salon. The yacht also features a fully stocked bar and a library with large view windows for reading or discussing marine life with fellow guests. Ready for adventure, the Safari Quest is equipped with kayaks, paddle boards, skiffs, and hiking poles, includes a full-beam swim step for easy access to water activities, and hydrophones for listening to below-surface sounds. The onboard wellness program includes a hot tub and fitness equipment in the sun lounge. 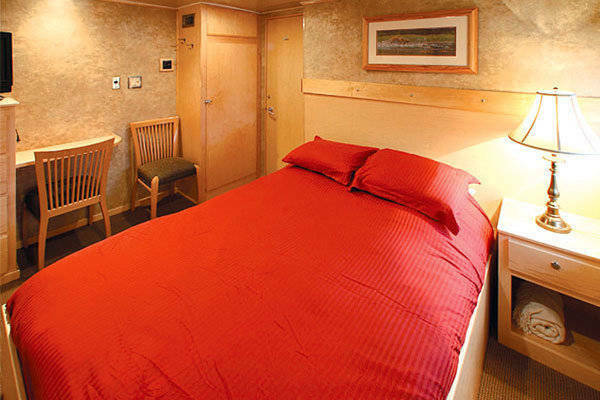 There are four cabin categories aboard the Safari Quest: Single; Mariner; Commander; and Captains. 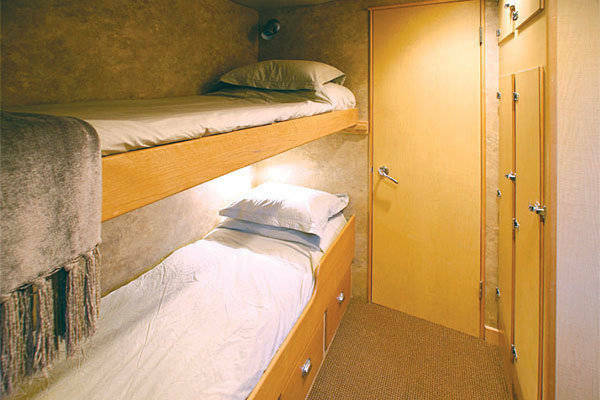 Captains are suited for single and double accommodation. 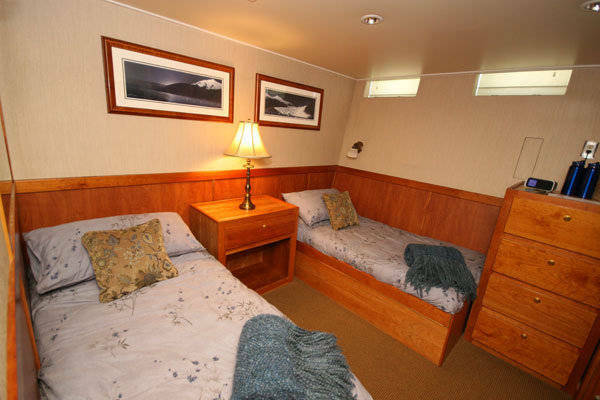 Common to all cabins are: Heated tile floors in bathroom; air conditioning; private bath with shower; Tempur-Pedic® memory foam mattresses; flat-screen TV/DVD; iPod docking station.